Excellent service; solved my urgent need for replacement glasses quickly and professionally. Many thanks and I will be a return customer. Super helpful and honest! Highly recommend focal point over spec savers. 80% of your child's learning is visual. It is important to look after your child's eyesight. It is difficult to know whether your child's vision is okay, as a child will rarely complain. Children will often adjust and don't realise that they should be seeing things more clearly. It is important as a a parent to look out for signs that may give you an indication that your child may have a vision problem. 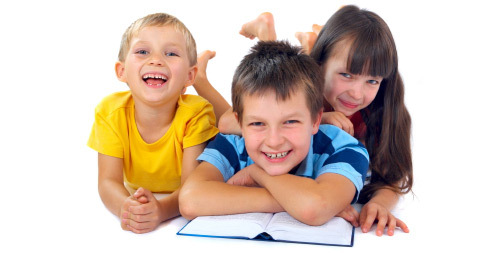 If you have any concerns tell our optometrist about the symptoms your child may be displaying. A human eye gives the sharpest vision when it is perfectly spherical. Distortion occurs when either the eyeball or the cornea are slightly out of round This causes a range of vision conditions known as astigmatism, myopia, or hyperopia. 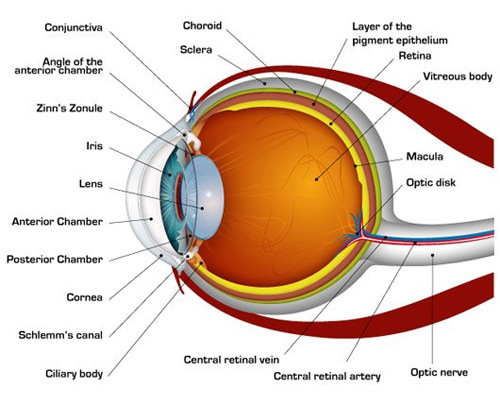 The coloured ring of the eye, the iris, controls the amount of light allowed into the eye. It automatically opens (dilates) and closes (contracts) the pupil when the light around you changes. Light travels through a small hole, the pupil. Muscles inside the eye automatically change the shape of the lens to focus an upside-down image on the light-sensitive cells of the retina. This delicate sheet of light-sensitive nerve tissue collects and transmits images to the brain via the optic nerve. © 2019 - Focal Point Optometrists. All rights reserved.